Banned in California because they hold weapons with deadly shoulder things that go up, .50 caliber rifles that can shoot down airplanes, and other weapons with high capacity assault clips. 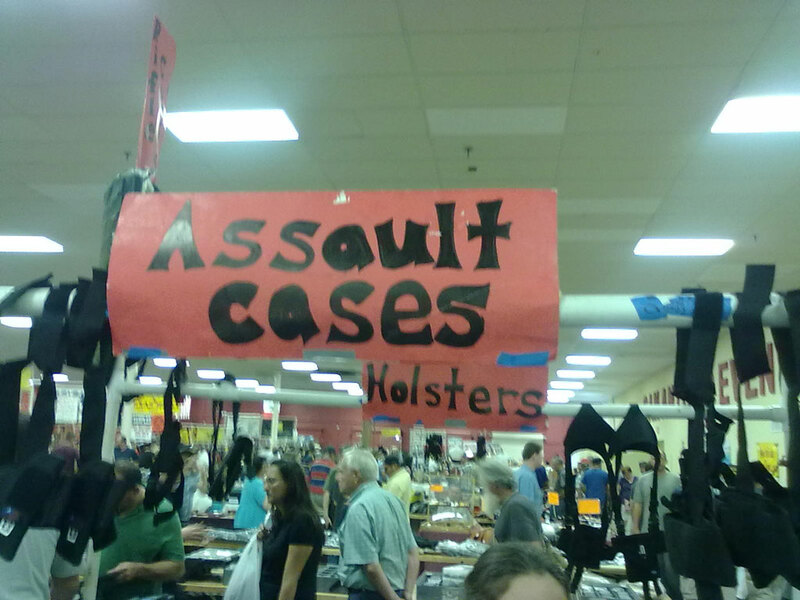 This must be the “gun show loophole” we used to hear so much about. Was this guy offering legal services? Is this like the case that Biff had in Back to the Future 2 for his hover board? That was pretty high speed low drag. Holsters are for wimps. Man up and get yourself an assault case. Equally deadly with or without a gun!